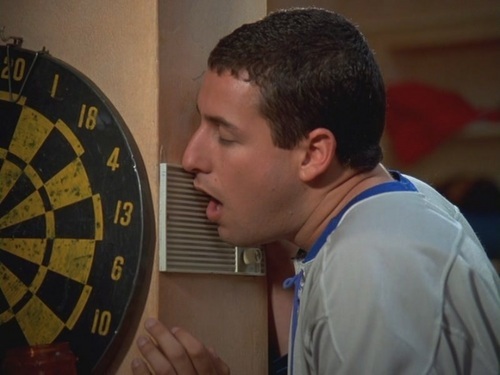 Sandler in Happy Gilmore. Adam Sandler as Happy Gilmore in (waitforit) Happy Gilmore (1996). HD Wallpaper and background images in the एडम सैंडलर club tagged: adam sandler screencaps happy gilmore 1996.